Taking care of customers is second nature to the Used Cars Dealer in Bozeman. So much so, they have developed a brand promises covering all the elements of their vision for excellence. Take a look at them on the Ressler Motors website, when you do you will see why they are a smart business to buy from. Based on their best price promise, you know that the best price is the first one that you are given. Taking the haggle out of the buying experience ensures that it begins in a place of reduced stress and respect. Added to the huge inventory of vehicles to choose from, finding your perfect preloved vehicle is easier at Ressler Motors. The dealership has been built with the customer in mind and the inventory has been selected for quality. That’s part of being a branded dealership, you get the new vehicle purchase experience, with the savvy decision to buy second hand. Honda make great cars with intelligent design, styling and engineering. Just look at the names that persist through generations. The Civic has evolved into a smart and stylish compact and the CR-V is now an all wheel drive that allows you to go where you need to go. That’s why at Ressler Motors, you can always buy a quality Used Honda In Bozeman. Decades of class leading design and engineering have resulted in the current offering in the inventory. Peruse the stock online or drop in and see them in person. 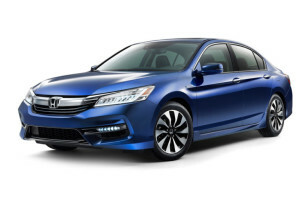 From the uber comfortable Honda Accord, to the family friendly Pilot, choose utility, convenience and excitement for your next preloved vehicle. If you have people to move, you can’t get any classier than the Honda Odyssey. Take your friends and family on a journey to a better quality of motoring, whichever one you choose.